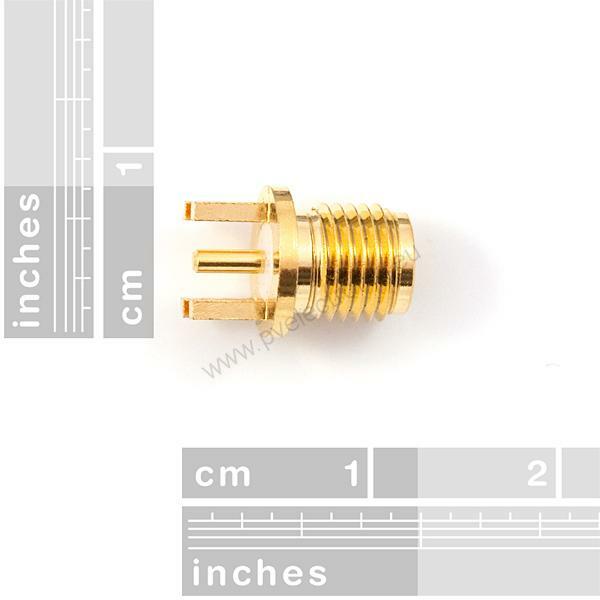 Description: PCB edge mount - SMA RF connector. 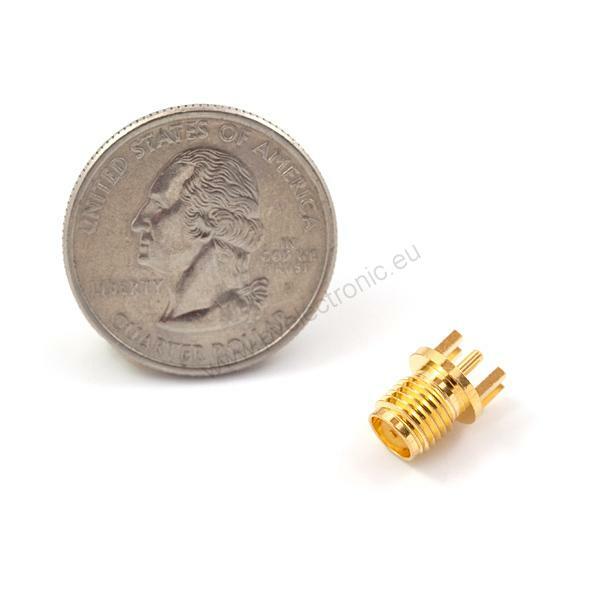 Perfect for prototyping with the GPS and Cellular devices that require an antenna connection. These connectors have a female signal pin and will correctly mate with the original SMA type antennas. Supported Antennae: Connects to the cellular and GPS antennas with standard SMA termination.